By: Shawn C Baker on 07/07/2013. Now, everything about this experience was awesomely nostalgic. First, in the age of trades, it’s not very often that I look through back issue bins, let alone with any degree of awe or determination. Doing so the other night at the Bug was a lot like riding in a time machine. And the feeling was harmonically amplified by the fact that everything in the boxes was from the era within which I cut my comic-reading teeth. Old issues of Peter David’s Incredible Hulk, Mike Baron’s Punisher, Ann Nocenti’s Daredevil and Chris Claremont’s Uncanny X-men. On the DC side there was a lot of stuff I’d always see but had never read – The Question and some Batman/Detective comics are the only things that stand out in my memory now as I write this (I’ve always been more of a Marvel Zombie, back then especially). What I ended up taking home was a TON of The Star Brand, a comic I’d bought an issue or two of back in the day and had remained curious and affectionate for ever since. In 1986, to celebrate their 25th anniversary, Marvel comics launched The New Universe, a separate continuity from the regular Marvelverse that was forged with the specific intent that all of the titles would occupy a shared continuity from the get-go. The New Universe was also meant to have a slightly more realistic approach to it – everybody’s powers were the result of something called “The White Event”. Now, in 1986 I was ten years old (!) and my comic book-buying money consisted of the couple bucks I received each week for doing my chores, so although I often wanted to buy a lot of different books I often did not. Because of this whenever my mother would drive me to long-gone Heroland comics in Worth, IL I’d often leave her in the car for an hour at a time (she learned to bring a book) while I browsed titles thoroughly, trying to decide what was worthy of my paltry earnings. Around that time the only book I ABSOLUTELY bought every month was Larry Hama’s GIJOE, so everything else was left to compete for whatever I had left over. The New Universe titles, while very intriguing, never quite made the cut. In a story unlike anything I’d ever read before at the time, comic master scribe John Byrne helmed a one-shot, bookshelf format (remember that classification?) 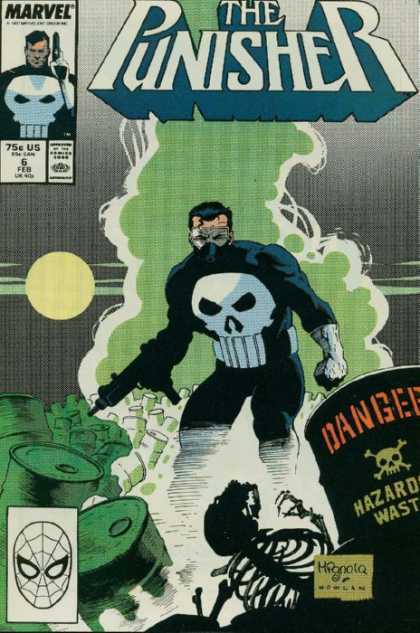 published in 1987 wherein Kenneth Connell, the lead character of New Universe core title The Star Brand, accidentally destroyed the entire city of Pittsbhurgh, Pennsylvania and about a million people along with it. This was heady stuff. I bought and read The Pitt and, as I often did back in those days, literally spent hours going through its pages over and over again. There was something about the way the death and destruction was presented. It felt sickeningly real. I think a lot of it had to do with the theme of widespread destruction at the hands of a super weapon. This was the 80’s of course, and even at ten/eleven years old the threat of nuclear destruction was something that weighed heavy on my mind. Although The Star Brand wasn’t a nuke per se, the aftermath of the event was shown in a way that conjured the tragic, toxic waste-strewn worst the era had to offer my budding imagination. The sludge and corpse salad that surrounded the wastelands along the edge of the bubbling hole in the Earth that used to be a major metropolitan area really made an impression on me. A lof of comics adressed stuff like this during that era – I remember serveral particularly affecting issues of various titles (two favorites shown below), but aside from titillatingly frightening cover images and the threat of posion via toxic waste none of those books ever actually showed life so completely and utterly destroyed by something so massively horrendous as nuclear war. The Pitt certainly did. It also made the New Universe a place where none of the characters were safe. Death became a regular thing. And why not? With sales apparently not living up to what Marvel had hoped for, The New Universe was ripe for a make-0ver, and in my opinion the serious and disturbing tonal shift was the best thing that could have happened to the secondary Marvel-verse. This was pre-Vertigo days, but DC was definitely laying the groundwork for a mature-themed Universe within their own continuity, so Marvel was no doubt inspired by this. And although NU never completely caught up to Vertigo insofar as the horror or mature arenas were concerned, I’m pretty sure that’s not exactly what they were after. With John Byrne being brought in on the core title Star Brand (changed to The Star Brand after he took charge of it) it seems more likely that what the various writers and artists were doing was mixing up the sandbox a bit. Scoop in some more adult, poignant themes and stir up their fledgling super hero universe to make something the comics world had never seen before. And that’s pretty much exactly what they did. Now, after The Pitt came out I kept my eye on several New Universe titles, most especially The Star Brand. The interesting thing was I never bought any until the very last issue. Why? Well, I can point to the escalating disturbing nature of the books, most perfectly encapsulated by one particular issue of The Star Brand. One of the side-stories within the post- Pitt NU was a family of four that had been the only survivors of the Pitt disaster (later dubbed “The Black Event” in the continuity of the comic as a sort of juxtaposition against the White Event). The family had been driving the interstate just outside Pittsburgh when the blast happened and they were subsequently swept into the crater by the resultant atmospheric storm. Saved by another NU character named Spitfire who the military had as a first repsonder to the disaster,the last we saw of them in The Pitt they were soaked in Pitt Juice but alive. 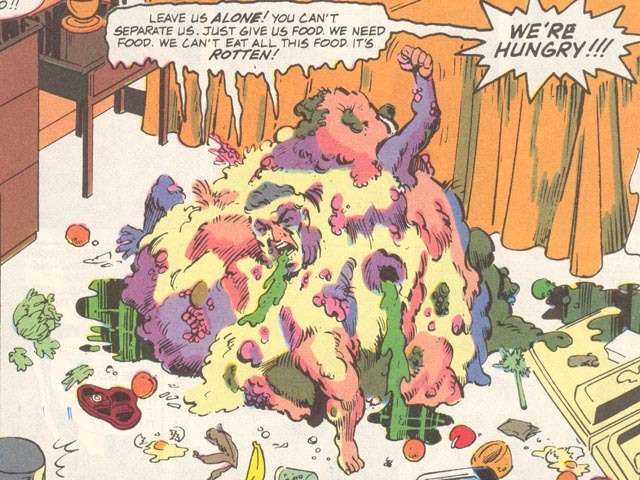 Now, several weeks later in The Star Brand #14 the husband and wife plus their two kids began to mutate, melting together into a single, amorphous organism that was horrifically dubbed Famileech. Not bad enough? THEY ATE PEOPLE!!! Geez, right? This freakin’ thing has stayed in the background of my nightmares ever since I first saw it circa 1987 and at the time it created in me the first real push-pull for disturbing content I’d ever experienced. I flirted with but never bought the issue, as… well, I just couldn’t! But I also couldn’t stop looking at the damn thing. The NU titles were bi-monthly, so #14 was on the stands for some time and every visit to Heroland I would pick that book up and look at those images of the family melting together, a sick feeling growing in the pit of my stomach (pun very much intended). This was the first manifestation of that ‘can’t look away’ phenomenon that would later make me a fan of Tobie Hooper’s original Texas Chainsaw Massacre, William Friedkin’s The Exorcist and Tommy Wiseau’s The Room. It was indeed a heavy contemplation that the tragically grim evolution of The New Universe caused in a young Shawn and now, thanks to these recent purchases, I’ve finally completed the journey. So what’s it like, now nearly thirty years later (!! ), having just acquired and read through another copy of The Pitt (left mine in Chicago) and Byrne’s subsequent run on The Star Brand (issues #12-19, nineteen being the series finale)? First of all, I write on a fairly regular basis in this column about comics of yesterday, and one of the recurring disappointments is of course that while they almost always hold up conceptually, many of them do not hold up in the execution department. As I’m always quick to point out this really isn’t the creators’ fault, as the paradigm has shifted and comics have become A LOT more sophisticated because frankly, so has their readership. However I am quite happy to report that this is most definitely NOT the case in Byrne’s The Star Brand. While not as sophisticated as, say Neil Gaiman’s Sandman or anything Grant Morrison or Alan Moore wrote in the 80’s, Byrne’s Star Brand holds its own. 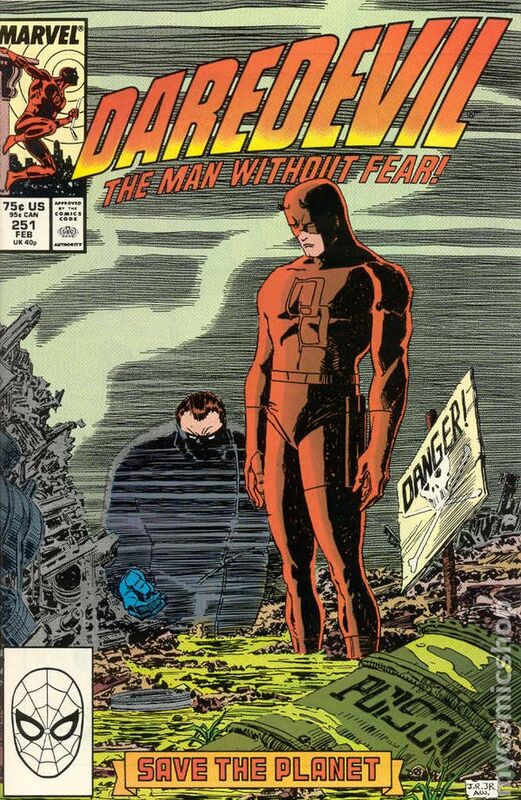 It’s intricately plotted, kinda sciency and not afraid to leave the uninitiated behind – another credo that often ruins 80’s comics – the idea that every issue has to have a lot of “brand set-up” because there’s always new readers picking up an issue in the middle of otherwise ongoing continuity. No, both The Star Brand and The Pitt weigh in as hefty, intelligent and pretty damn disturbing reads left over from a much more innocent time. Well, let’s classify that as perceived innocence, but you get the drift. As an interesting side bar, circa 2007 Warren Ellis had been re-vamping The New Universe for Marvel as New Universal. However, before it got very far I believe it was one of the titles that suffered death after Mr. Ellis’ hard drives died a terrible death and took other such awesome titles he had going like Doktor Sleepless with it (OH HOW I MISS THE DOKTOR!!!). Until next week, avoid cannibalistic, amorphous family blobs and stay the hell away from anyone trying to buy you a shot of “Pitt Juice” at the pub! Actually, the other 3 (remaining) New Universe titles were monthly, only Star Brand at that point was bi-monthly. 8 titles launched initially, 4 were canceled early, and somewhere early on, Star Brand had gone bi-monthly. That’s why its last issue was 19, but DP7 (for example) got to 32. All 4 titles went at the same time.